There are plenty of things to do in Broward County, FL. It might be easier to cite the things that aren’t available because there is a huge abundance of things to enjoy here! For instance, with the abundance of water, boating, fishing, and swimming activities are easily available. Learn more about Ft Lauderdale beaches. Outdoor activities like golf, cricket, baseball, softball, volleyball and basketball are among the favorite pastimes for many. 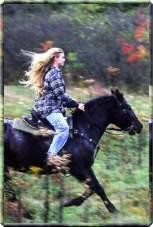 Others enjoy hiking, biking or horseback riding. The Cultural Information Center of Broward County houses a retail store with merchandise on sale form several cultural organizations. Gallery Six is a fine arts gallery on the 6th floor of the Main Library. Broward Center for the Performing Arts offers theatrical performances, ballet and music concerts. Other attractions in the area include The Museum of Discovery and Science where you can see over 200 interactive exhibits. The museum also has a Discovery Center designed for children under the age of seven. There are museums especially for train buffs and antique car buffs, and a wealth of other attractions for the entire family. No matter where you are in Broward County, FL, shopping is a breeze because you’re within 15 minutes of a mall. Sawgrass Mills is a favorite, as is Pembroke Lakes Mall in Pembroke Pines, FL. Other shopping centers and malls have plenty of shopping opportunities such as Fountains of Miramar in Miramar, FL and the Weston Town Center in Weston, FL. If you’re a horse-lover and enjoy riding your horse in safe and beautiful areas of Broward County, check out South Florida Trail Riders of Broward County, Inc. This organization encourages the construction, preservation and expansion of equestrian trails and riding facilities. They also have programs to promote interest in equestrian activities and legislation favorable to equestrians. Davie, FL offers eight equestrian trails for you to enjoy riding horses. One park, Vista View Park offers you a trail ride that leads to one of the highest spots in Broward County. Be sure to take time to view Port Everglades, the downtown area of Fort Lauderdale off to the east, and the expanse of the Everglades to the west before descending back down the trail. Plantation Equestrian Center in Plantation, FL has two stables with 96 stalls. It also offers three show rings and two practice areas, a turn-out paddock area, a building with concessions, restrooms, announcer booth areas, and bleachers that accommodates approximately 300 spectators.